what would you do with this $10 chair? 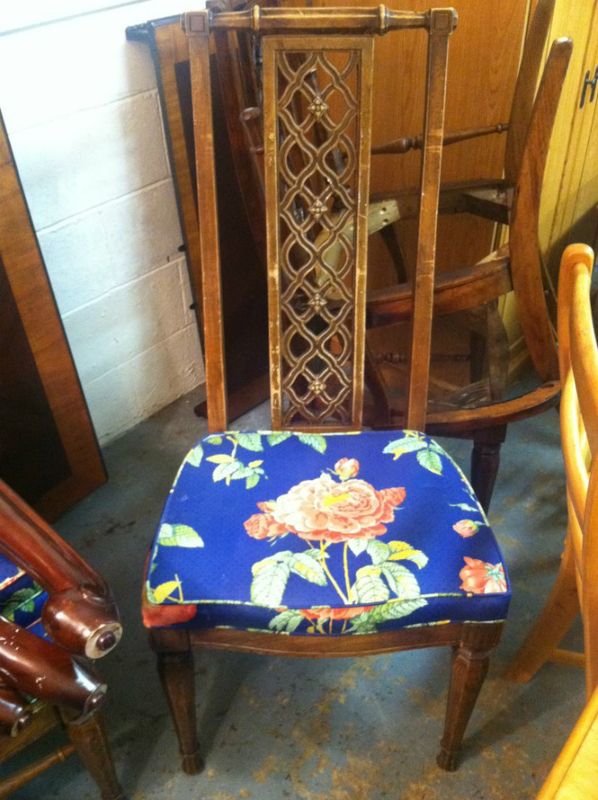 i was out the other day just bumping around a few thrift stores and i came across these chairs. they were only $10 each. if only a had a client for these awesomeness i would have bought them. with the cushions being in excellent condition i would certainly try to find someone who liked the cushions and that would save money from having them recovered, which can be expensive if you want a nice clean professional look with the piping. i would paint the chairs white and install them into a nice breakfast nook or use them for a special spring brunch. now these chairs are NOT my style. i couldnt live with them in my space. but tell me something. what would you do with these $10 chairs?